Motorists who are thinking about buying a car and are looking for an eco-friendly manufacturer may want to consider Honda. The company has just unveiled a fuel cell concept vehicle at the LA Auto Show. According to the manufacturer, the FC Sport -which is a hydrogen-powered three-seater - gives motorists a glimpse of what sports cars may look like in the future. It added, although the vehicle offers zero emissions, it does not compromise on performance, as it features a powerful electric motor and has an extremely low centre of gravity. 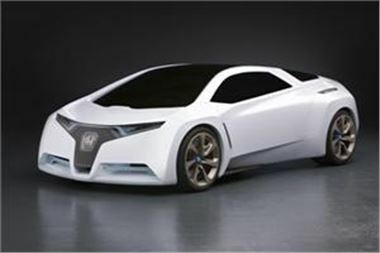 Spokesperson for Honda John Kingston said: "This stunning concept is a great example of how development of fuel cells could revolutionise car design." At the moment, the manufacturer has no plans to produce the vehicle commercially. In other news, Honda recently reported it had created a new ecological assist system to help motorists drive more economically and save money at the pump. Are you buying or selling a car? Click here to find out what Honest John has to say.